Last week, after deciding that we had nothing in the house to eat, my husband turned to his favorite stand-by: a frozen pizza. After taking the same pitiful look around the house, opening and shutting the fridge and the cabinets several times, I settled on my favorite easy meal: avocado toast with a fried egg. Later, we both sat on the couch with our respected dinners and he commented on the fact that I wasn’t going to eat any of the pizza with him. Eh. I love pizza. It’s hands down one of my favorite foods to go out for and I cannot resist a wood-fired slice of margarita pizza. But generic, frozen pizza? I can easily pass. I was in control of my decision to pass on the pizza because I knew it wasn’t the food that I really wanted in the moment. It would have just been quick nourishment, nothing special, nothing gained. The next time we go out for the speciality pizza that I love so much, I will gladly allow myself to enjoy as much as my hunger and fullness levels dictate without any guilt. 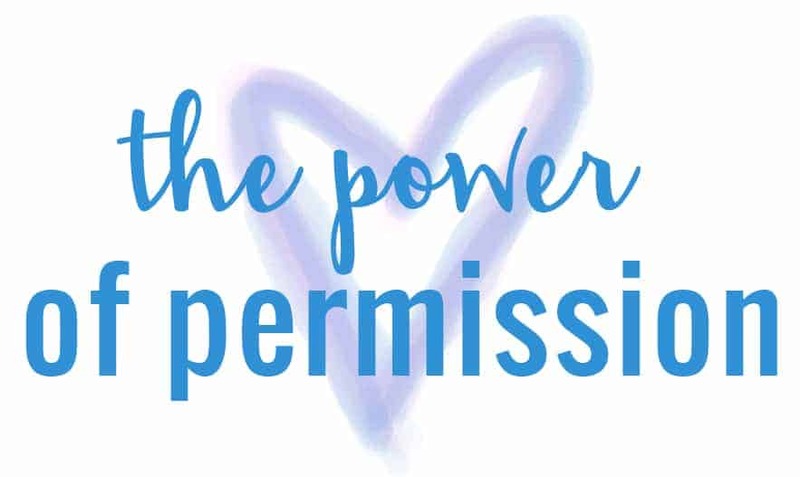 With my happy weight clients, I spend a lot of time talking about the concept of permission. Granting yourself permission to eat what you want without fear is the only way to truly break out of the diet mindset. It’s a small piece of the puzzle that carries big results. When I am in control of my decisions around food, there isn’t any room for self-doubt, guilt, or shame. It’s not that I couldn’t have the frozen pizza, it’s that I truly didn’t want it. Permission and intention around food are a big key when it comes to finding joy in eating and discovering your happy weight. There’s been a lot of talk on the internet this week around the concept of Moderators vs. Abstainers and I think it all comes back to the power of permission. Though I highly recommend reading Rachael’s post on the subject, a quick synopsis is that moderators can have just a little bit of something and be okay with it, but an abstainer has to eliminate things entirely. In the food/dietitian world, most of my clients come to me as abstainers. Years of dieting has reinforced the idea that they cannot be trusted around certain foods, so they abstain. (Until they don’t, usually followed by overeating or a binge). When I think about the idea of moderators vs. abstainers, I think about the power of permission. Do you trust yourself to be around all foods? I think about this in my pizza example above. I love good pizza, I trust myself around pizza, but I don’t want to eat pizza that isn’t totally ‘worth it.’ Meaning, I want the pizza to be an experience, an enjoyable night out with my husband likely accompanied by a glass of wine- or two. I’m not refusing the pizza at home because I can’t have it, it’s that I don’t want it. Semantics, but one that completely shifts the way we approach food- and how we approach our identity with food. I spent a good part of my teens/early twenties on the diet train, so I know how easy it is to fall into the abstainer camp. I was there for a long time too, mostly out of fear of being around my favorite foods. It was easy at first to abstain, but I constantly felt a shameful longing that I wasn’t allowed to eat them. Once I stepped onto the path of intuitive eating, I never looked back. I become an RD to give back, to share my story and remind others that a traditional diet isn’t the only way to lasting diet freedom. In fact, I would argue, traditional diets can’t get us there. The only way to heal your relationship with food is by going on an un-diet, finding peace with food and within yourself. So, today, I am jumping with joy to introduce you to a brand new program designed to improve your relationship with food and your body. 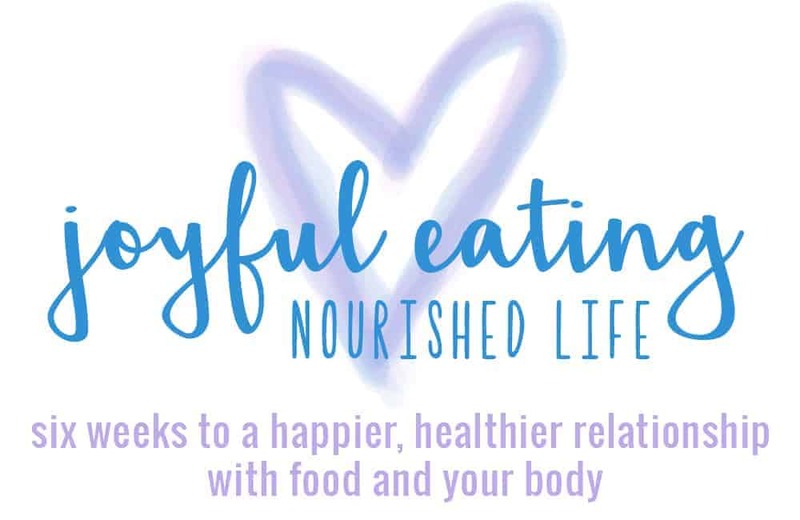 For the better part of the year, myself and my two incredible RD colleagues have been hard at work creating our Joyful Eating, Nourished Life program. With our collective 22 years of experience, we have developed a six-week program packed with the most effective strategies and tools for making peace with food so you can finally stop stressing and start living! Last fall, after an in-depth conversation over mindful eating, the frustration with the current health market and the future, Anne from fANNEtastic Food and Rachael from An Avocado a Day Nutrition and I joined together on a mission. We knew the power of intuitive eating, the freedom our clients were feeling and wanted to make an impact in a big way. We decided that the best way to do this was to create an in-depth program accessible to anyone, anywhere along with a supportive community focused on positive results. We did it! Enter Joyful Eating, Nourished Life, a step-by-step guide to living your best, positive self. It’s so much more than just intuitive eating, which is why we titled it Joyful Eating, Nourished Life. We guide you week by week through topics like body confidence, kitchen confidence, emotional eating, stress management and so much more. I cannot wait to share this life changing program with you and hope you’ll consider joining us for our first group in June. To learn more, head here to meet Rachael and Anne, read testimonials from past clients, and sign-up to learn more. I love this and don’t know if there are 3 better RDs to take on this awesome program. Congrats! Ditto to all those below! What an exciting journey for you three- I can’t wait to see where this takes you! So many wonderful things on your horizon Alex, way to go lady!